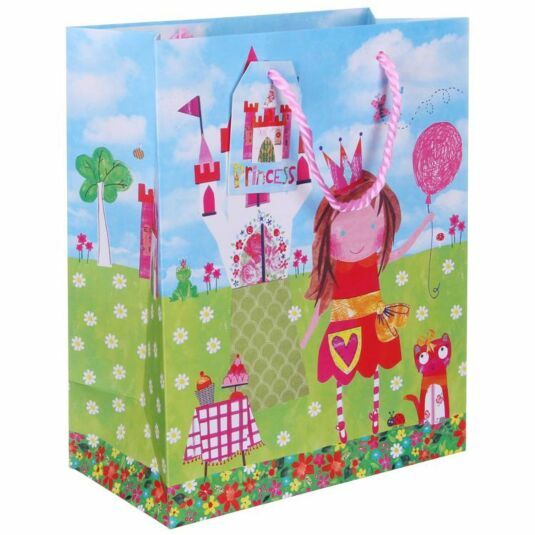 This large gift bag is perfect for any little Princess! The design features a stylized illustration of a little girl playing at princesses in her garden, with a jolly pink cat and a pretty table with a pink gingham cloth upon which cupcakes are displayed. 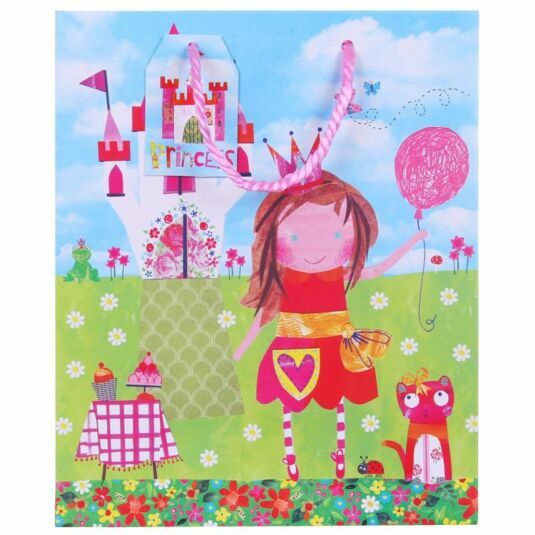 The little girl holds a balloon and in the background a dream castle and a green frog wearing a pink crown can be seen. The design style is of paper cut-outs in zingy bright colours. A matching label featuring the castle with the word Princess in cut-out letters is attached to the pink rope handle. These eye-catching and colourful designs are produced by hand using paints, inks, pencils and found papers. The fresh, vibrant imagery produced by Paper Salad will brighten up the darkest of days.